Addis Ababa, May 23, 2017 (FBC) – President Mulatu Teshome and Prime Minister Hailemariam Desalegn have congratulated Dr Tedros Adhanom on his election as new Director General of World Health Organization (WHO). President Mulatu congratulated all nations and nationalities of Ethiopia. Similarly, Prime Minister Hailemariam congratulated Ethiopians at home and abroad as well as friends of Ethiopia. Dr Tedros’ election is a testimony of Ethiopia’s acceptance by the global community, the Premier said. 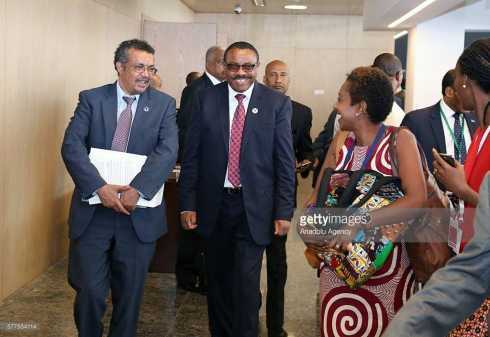 In a related development, Minister of Foreign Affairs of Ethiopia, Dr Workneh Gebeyehu, congratulated Dr Tedros. The victory is the result of Ethiopia’s success in diplomacy, he said.